This time of year my lips always tend to suffer. It doesn't help that I work in a busy department store where the air con is either too high or it's not on at all. 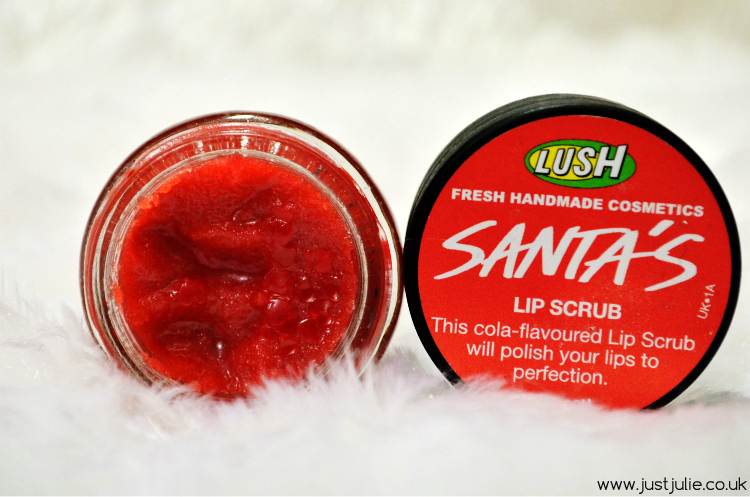 Normally a good lip balm does the job but lately I've needed to give my lips some extra tlc and the Santa's Lip Scrub from Lush has been my saviour! 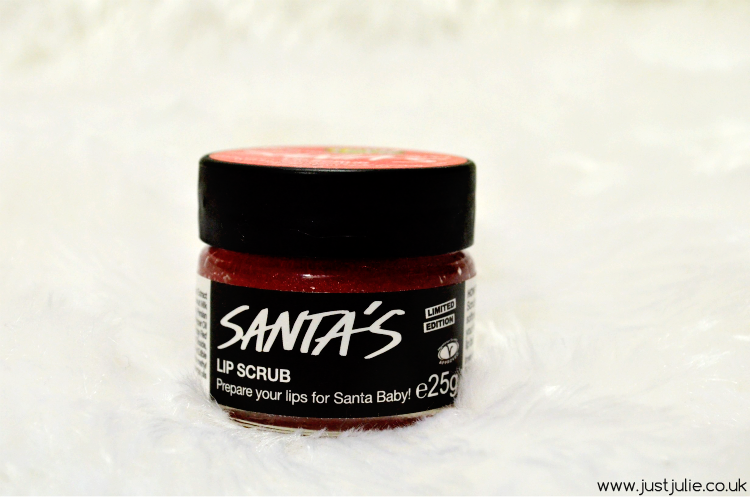 I actually purchased the Santa's Lip Scrub back in October when I attended my Local Lush stores VIP opening in Bluewater, you can read about the event just HERE and I'll be honest it sat in the Lush bag for several weeks until I remember I had bought it! Which pretty much goes for half of the products I buy!!! As I said this time of year my lips suffer, they become very dry and tend to flake quite a bit and become very sore. Lip balms weren't doing a thing so I used this and after the first use my lips were already feeling so much softer and no longer as dry. After two uses my lips were back to feeling smooth! 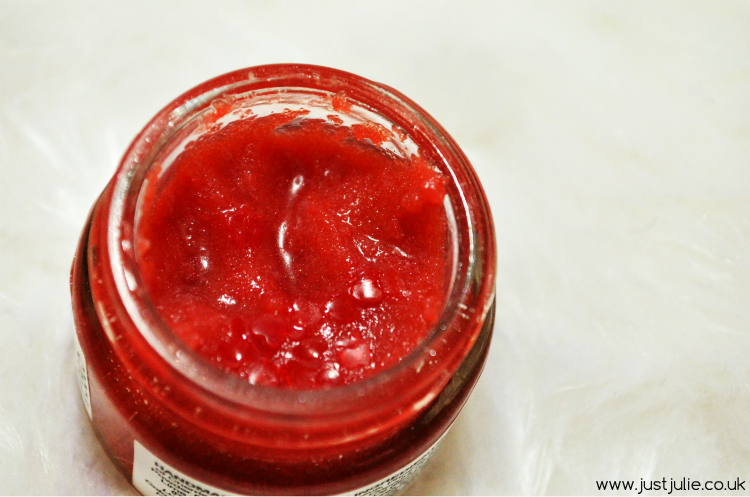 Not only does this taste lovely, it does a remarkable job at healing dry lips after just a few uses. I'm now using this once a week just to help maintain keeping my lips soft. 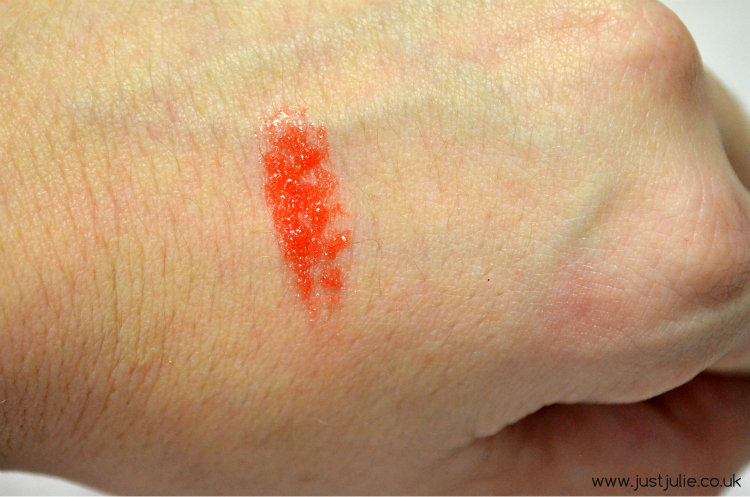 Santa's Lip Scrub only costs £5.50 and should last a long time, as you only need to use a small amount. If you're in the market for a good lip scrub then I can't recommend this enough PLUS it tastes delicious!! !